London: 29 September - Global research consultancy Kantar TNS today announced the appointment of Anne Rayner as Global Head of Communications Research. In her new role based in Sydney, Anne will be responsible for developing and implementing the firm’s global communications research growth strategy. Anne joined Kantar TNS in 2002 and was recently Asia Pacific Regional Director of Brand Equity and Communications. In this role she was instrumental in developing a community of brand experts and building Kantar TNS’ presence with clients in this space. 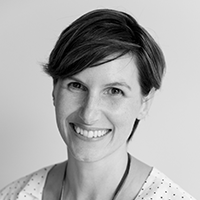 Anne brings over 15 years of experience in brand and communications, particularly in digital and social media research with specialisation in brand tracking, touchpoint research and communication evaluation. She has worked across multiple industries including consumer goods, technology, automotive, finance, healthcare and travel and leisure. Rosie Hawkins, Global Head of Brand & Communication said “I welcome Anne into her new role. The world of communications is undergoing rapid change and Anne brings a combination of experience and forward-thinking that will drive creative improvement in this area to continue our focus on driving impact for our clients”. Speaking about her appointment, Anne Rayner said, “This really is an exciting time to be part of Kantar TNS. We have a culture of entrepreneurialism, and incredible practitioners around the world. We have great expertise in creative and media research and I look forward to growing the whole offer including integration of social and survey data, media optimisation and ROI.